Don't Text & Drive! It Kills! 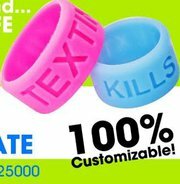 Texting Kills Thumb Bands In Stock or Custom Colors! Custom Colors available in 2 weeks! Please help Us Save Lives and Get Involved! We need to stop this problem! 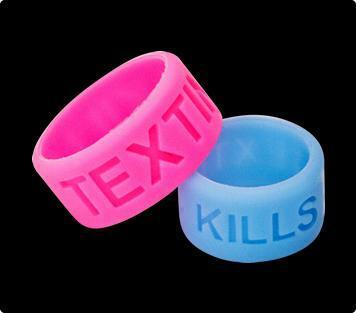 End Texting While Driving!! It Kill! 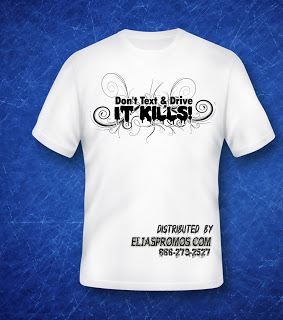 Texting Kills or Text Free Driver Debossed!